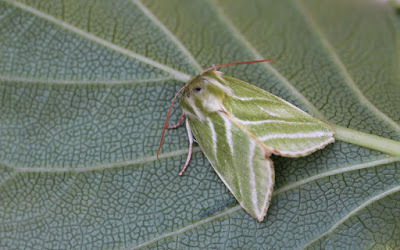 This is the Green Silver-lines (Pseudoips prasinana), one of two verdant visitors to the garden the other night. 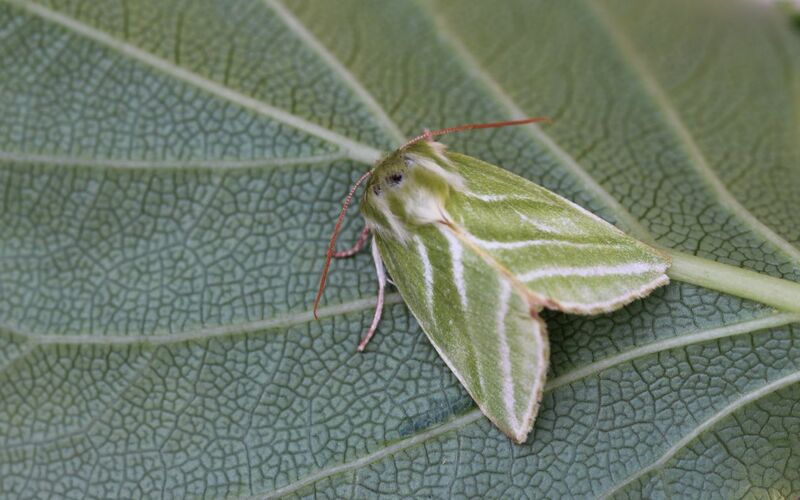 There are very few species of green British moths, so I feel very fortunate to have two in one catch! 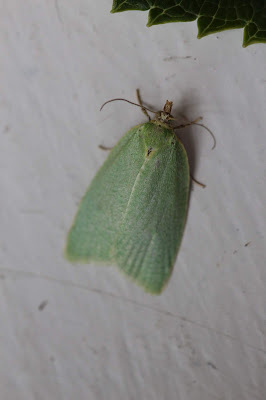 The Green Silver-lines and the Green Oak Tortrix (Tortrix viridana) are from two separate families of moth: the Noctuidae and the Tortricidae, respectively. 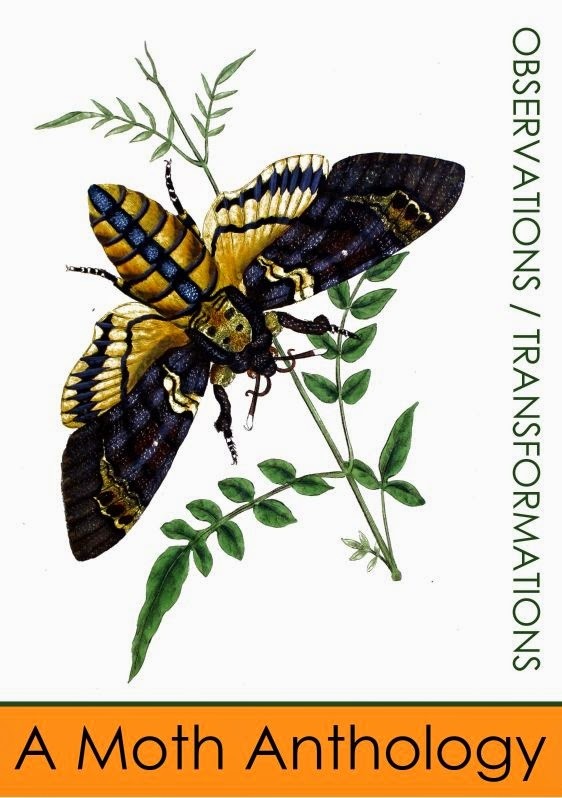 The Noctuidaes, or Owlet moths, are the second largest family and are typically medium sized night-flyers. 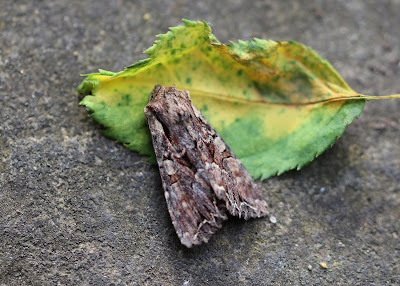 Their larvae are known as 'cut worms' and can do considerable damage to roots and plants. Tortricidea, or Tortrix moths, on the other hand, are generally quite small yet their larvae can completely defoliate trees. Although the Green Oak Tortrix is not a new species it has only been recorded once before at Shandy Hall - and that example was very worn. 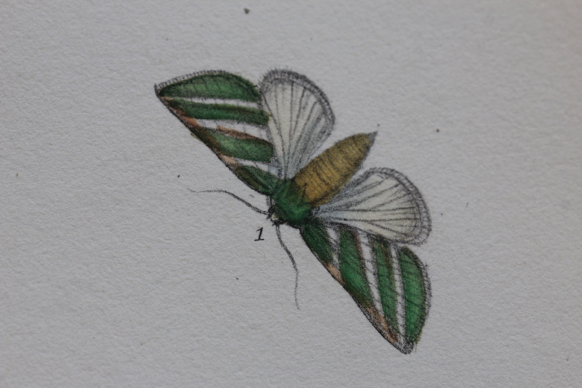 This specimen is as bright and as green a moth as you could wish. 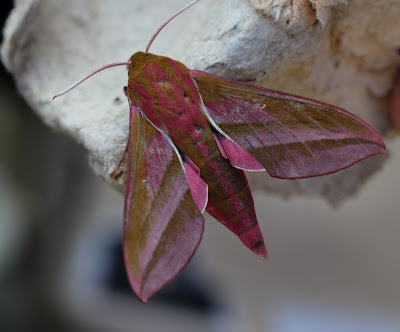 Finally, there is the Elephant Hawk Moth (Deilephila elpenor), who is no stranger to the gardens and blog, but so gorgeous I can’t resist including a picture. This whimsical moth looks like it flew right out of a Dr. Seuss tale!